Paul Benner, 33, went clamming Thursday evening in the midst of the major snowstorm, authorities say. 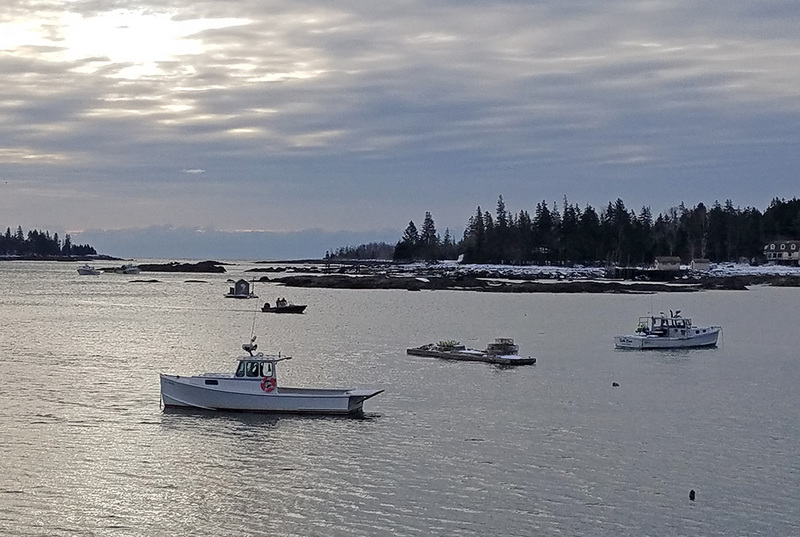 ST. GEORGE — The search for a 33-year-old Thomaston man missing since Thursday evening after he went clamming off St. George was suspended Friday afternoon but will resume at low tide Saturday. The Maine Marine Patrol, which is leading the search for Paul Benner, announced the suspension Friday evening. The marine patrol, the Knox County Sheriff’s Office, the Coast Guard, local fire departments and private individuals turned out Thursday night for the search. It was based at the former Great Eastern Mussel Farm dock off Long Cove Road, from which Benner departed for clamming. Benner was last seen about 6 p.m. Thursday, when he went out on his 14-foot skiff. His father reported him missing shortly before 11 p.m.
Benner’s skiff was located about midnight a few hundred yards from the causeway at Clark Island, which is located across the cove from the dock where he left. Other equipment from Benner’s skiff, including an anchor and clam gear, were found in the middle of Long Cove at low tide Friday morning, according to the marine patrol. The marine patrol and fire departments from local towns including St. George, South Thomaston and Thomaston searched the cove and shoreline and Coast Guard boats from the stations in Boothbay Harbor and Rockland searched farther offshore. A Coast Guard helicopter also flew over the search area Friday morning. The search began in the wake of a major snowstorm that produced near-record high tides, high seas and heavy winds. The National Weather Service reported near-shore seas of 10 to 15 feet. By early Friday morning, seas between Long Cove Road and Clark Island had subsided to about 2 feet. The Maine State Police/marine patrol dive team was also called in to participate in the search.